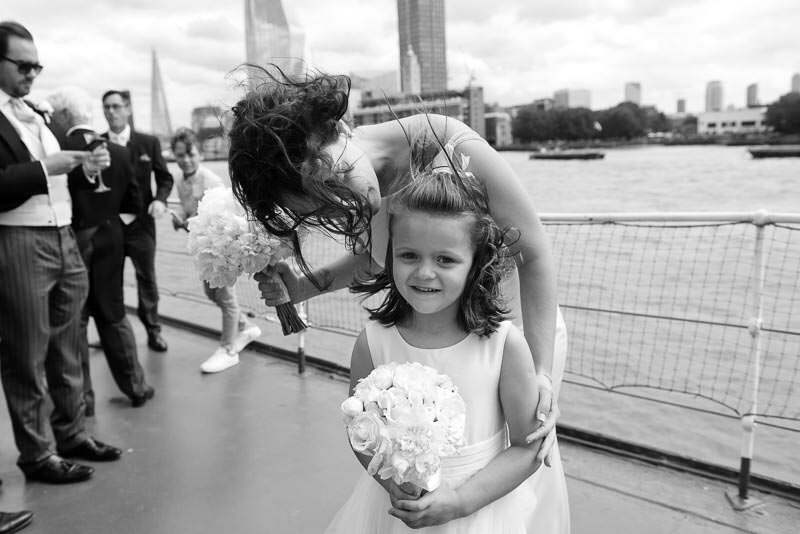 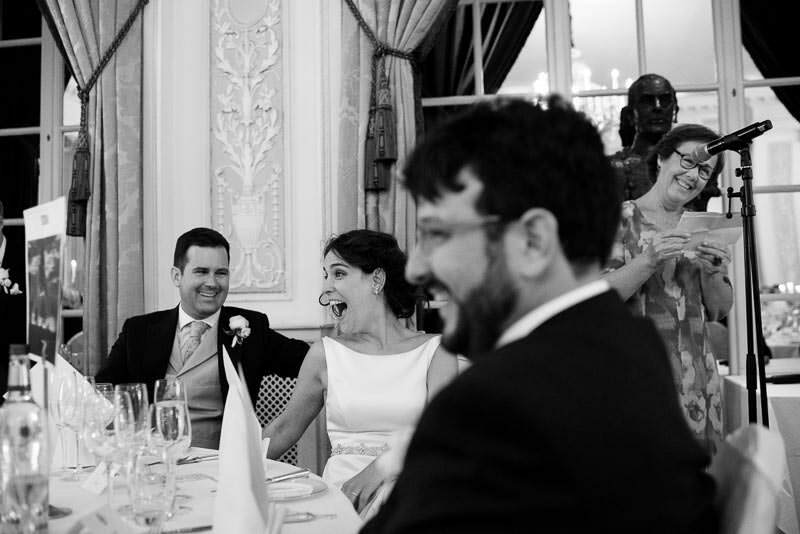 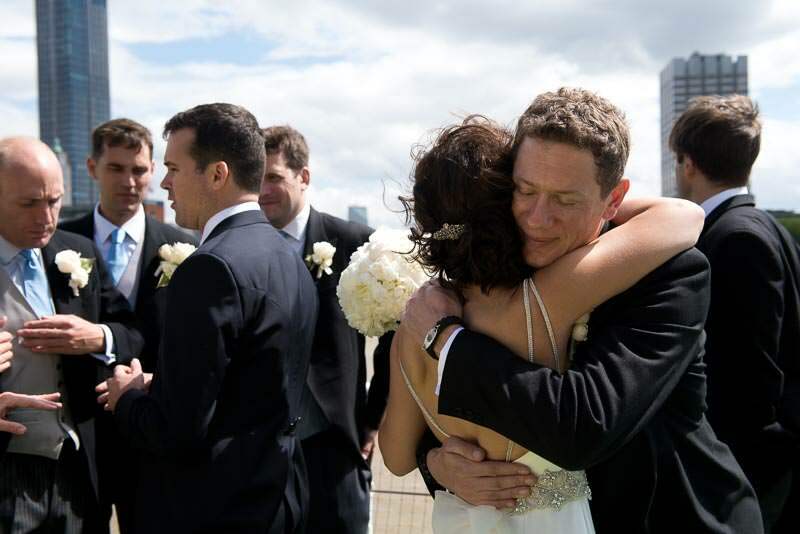 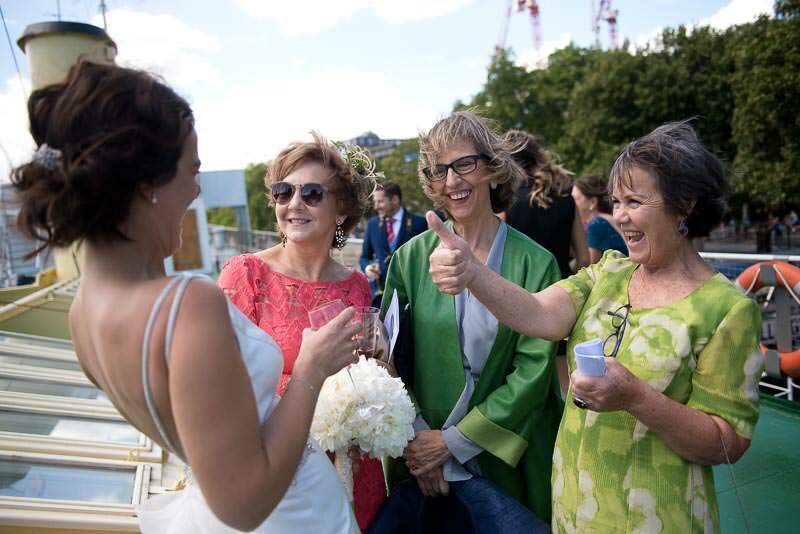 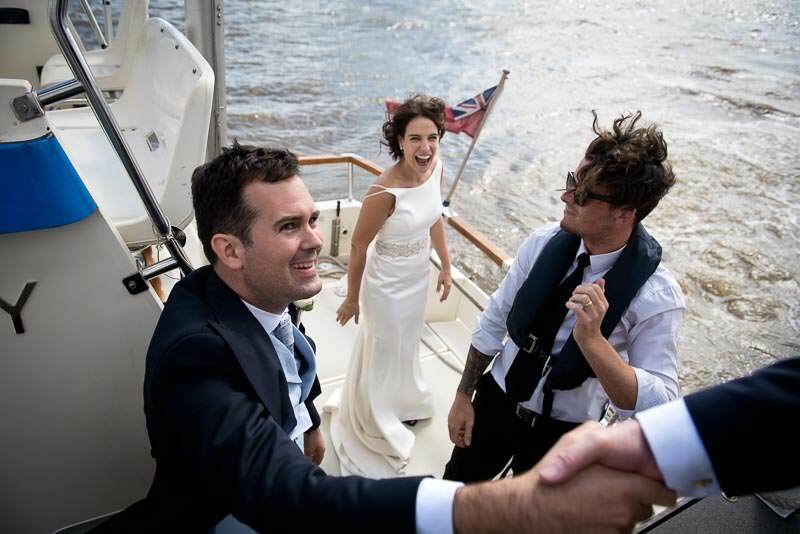 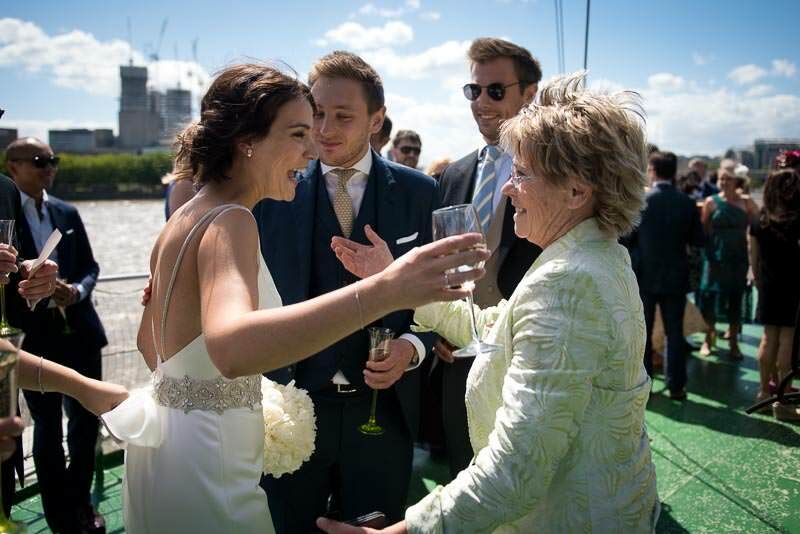 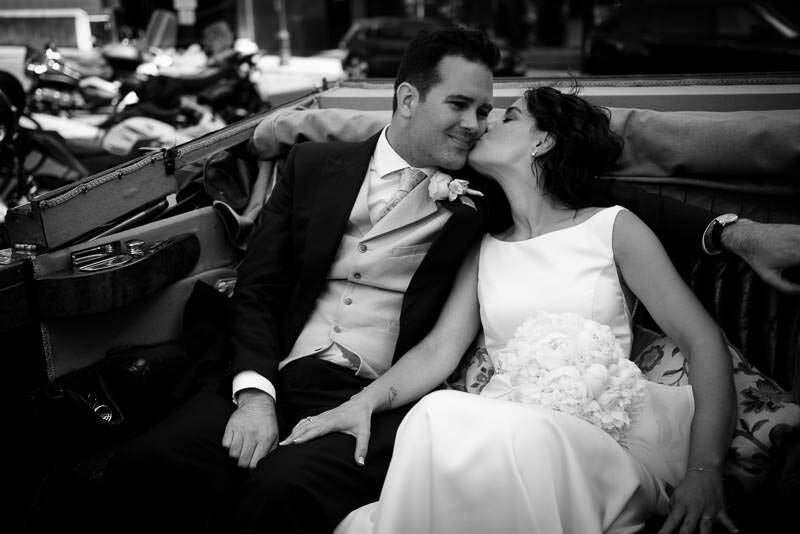 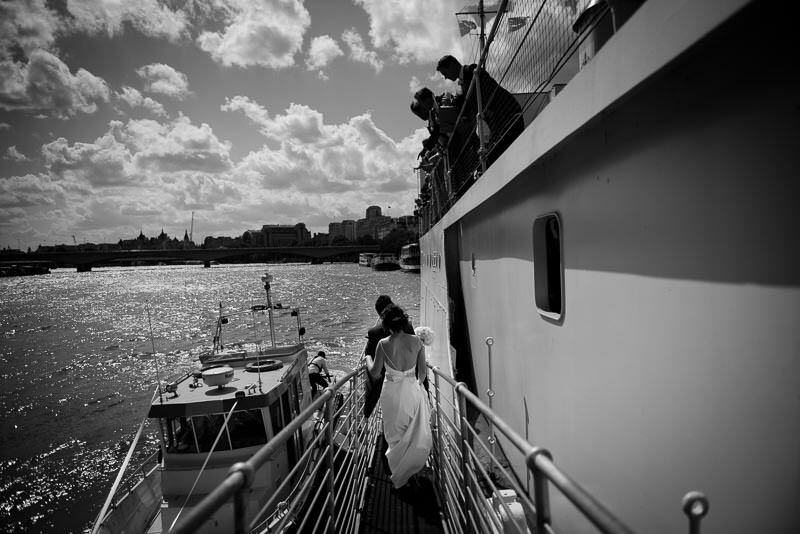 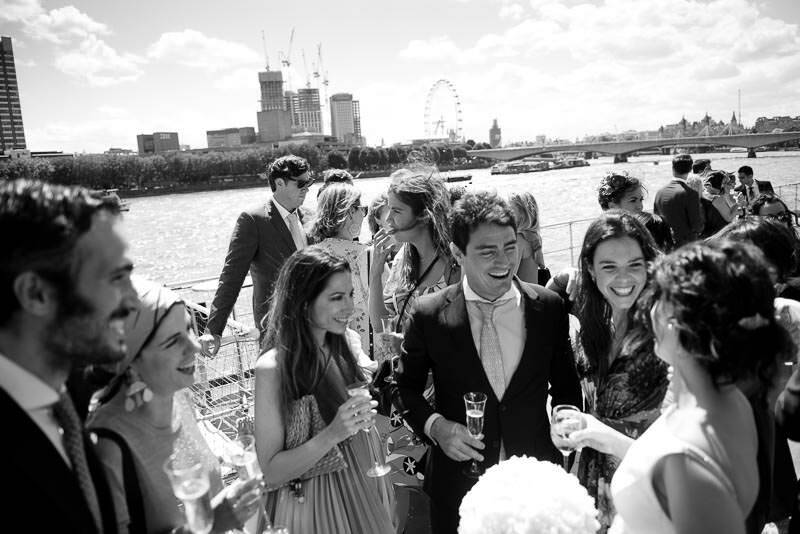 Here is a flash back to last year’s very hot summer and Raquel and Sam’s beautiful wedding on the HQS Wellington – a historic ship moored on the Thames right in the centre of London. 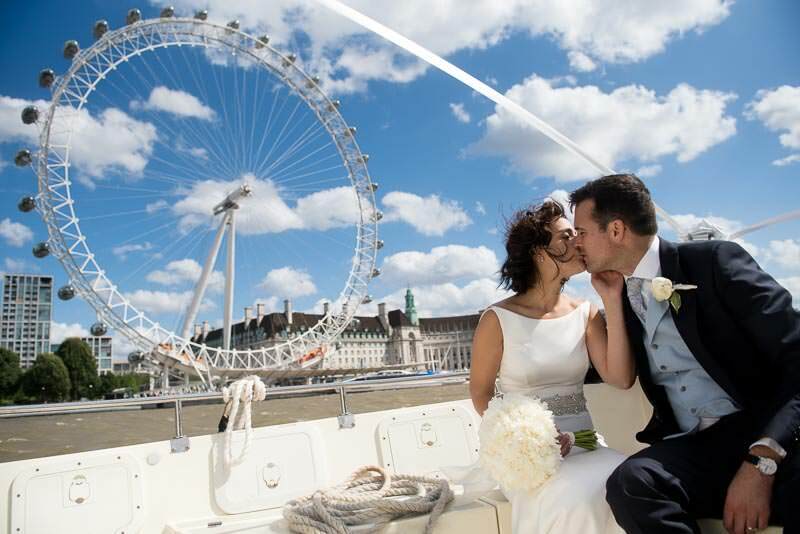 After tying the knot in this unique and picturesque venue (with the best views! 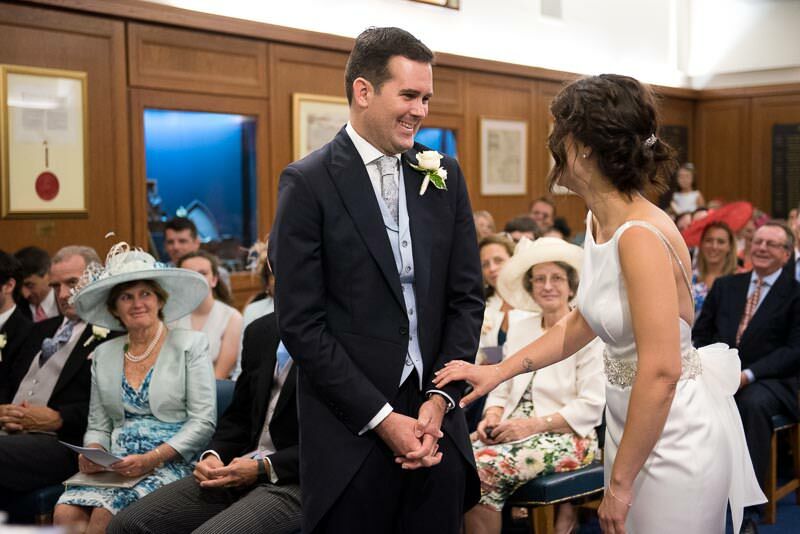 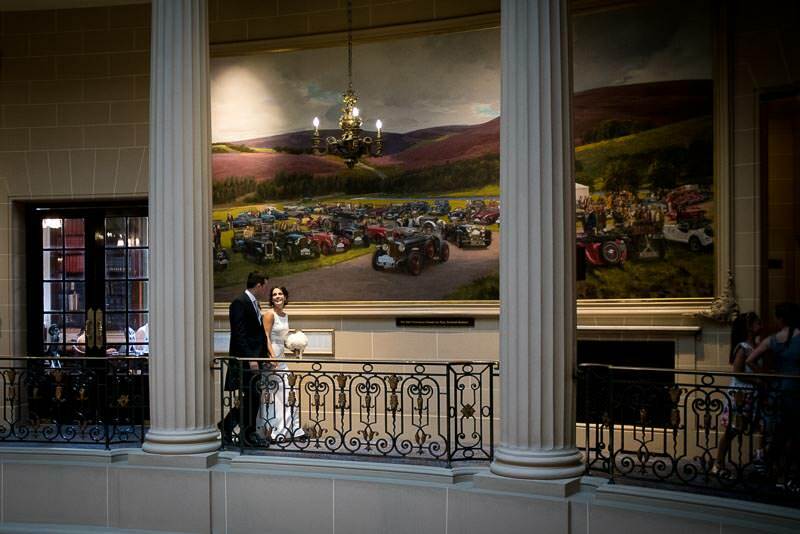 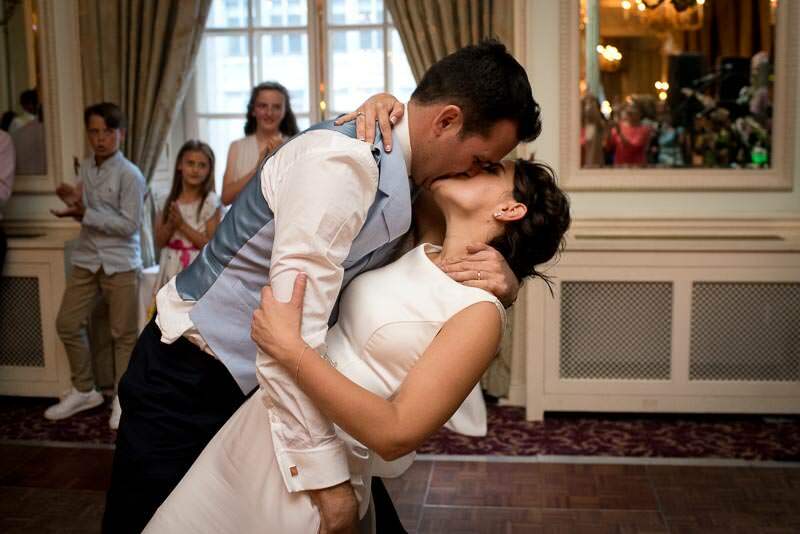 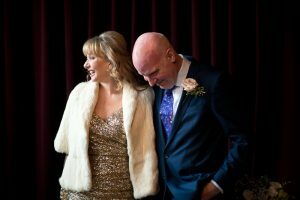 ), Raquel and Sam celebrated with an elegant wedding reception at the RAC. 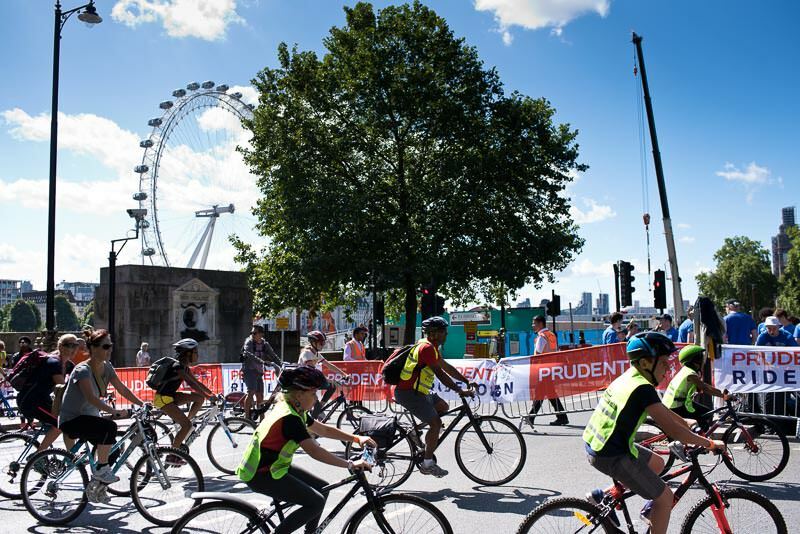 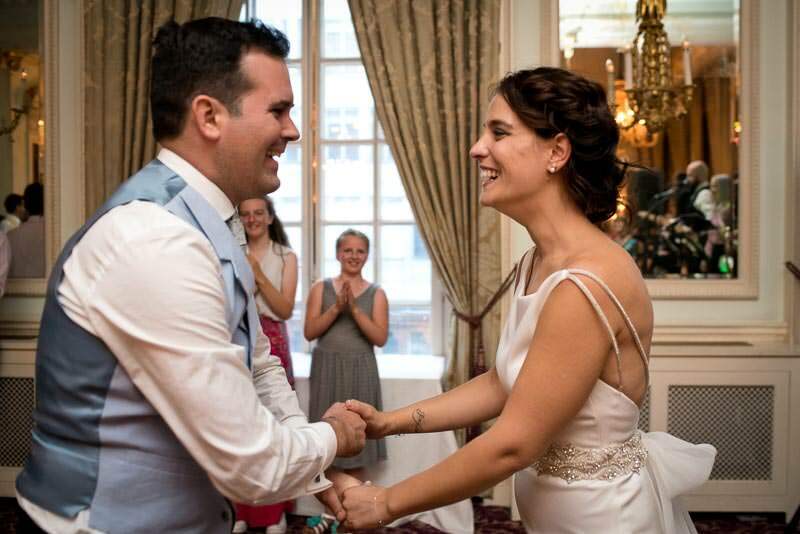 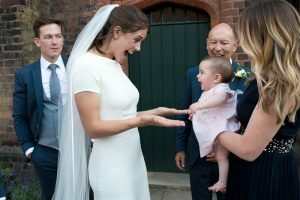 When Raquel and Sam planned the logistics for their wedding, they didn’t factor in the Prudential bike ride – an annual festival of biking, which means the whole city turns into a huge network of cycle paths with many roads being shut. 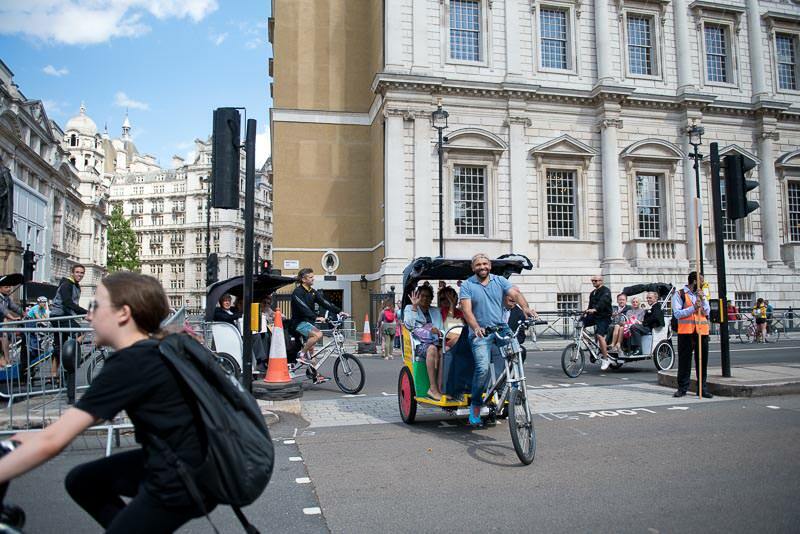 Including the roads leading from the HQS Welllington to the RAC. 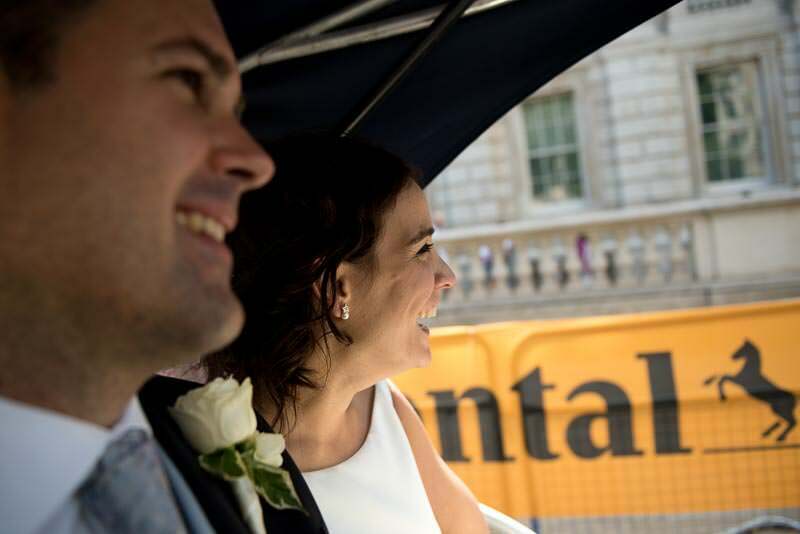 To solve this problem, Raquel and Sam planned a route from Embankment to Pall Mall with various unconventional means of transport. 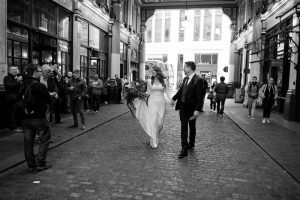 This was very exciting to be a part of – and to photograph (it made me feel a little like James Bond). 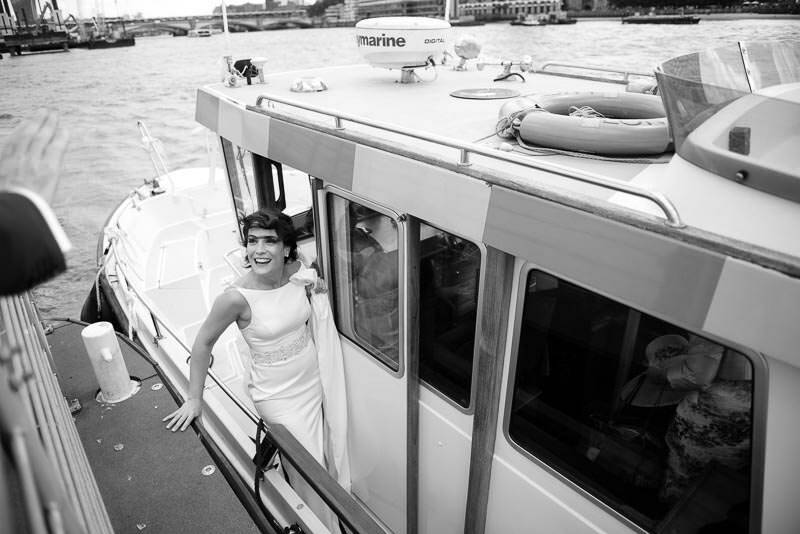 After the wedding ceremony, we hopped on a water taxi. 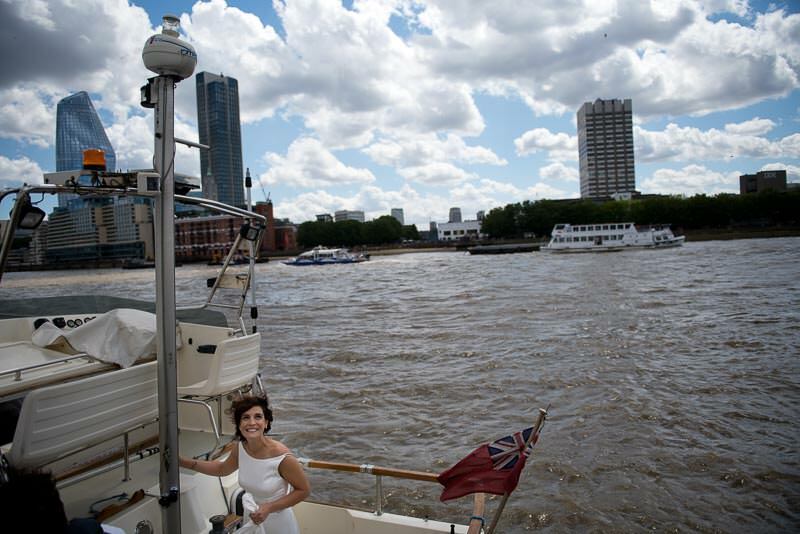 It was a windy day with big waves making it a bumpy and fun ride on the Thames. 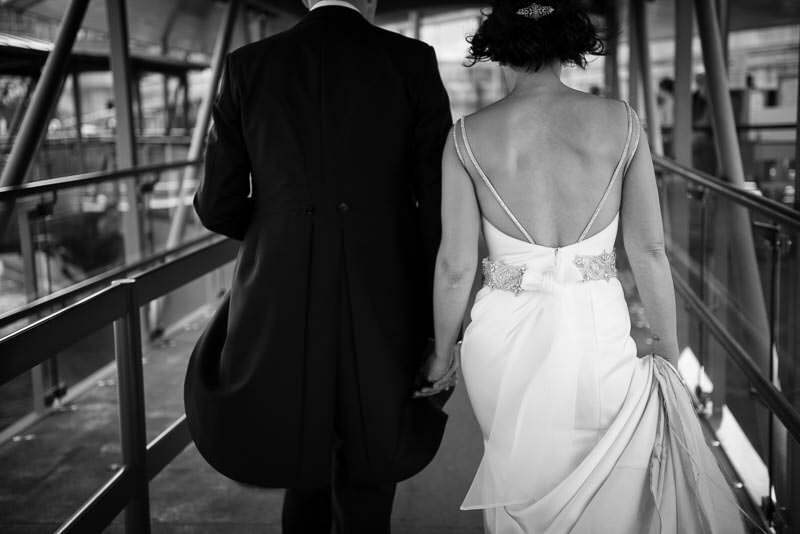 A cycle rickshaw picked us up from the pier and we, along with lots of other wedding guests joined the giant bike ride for a little while. 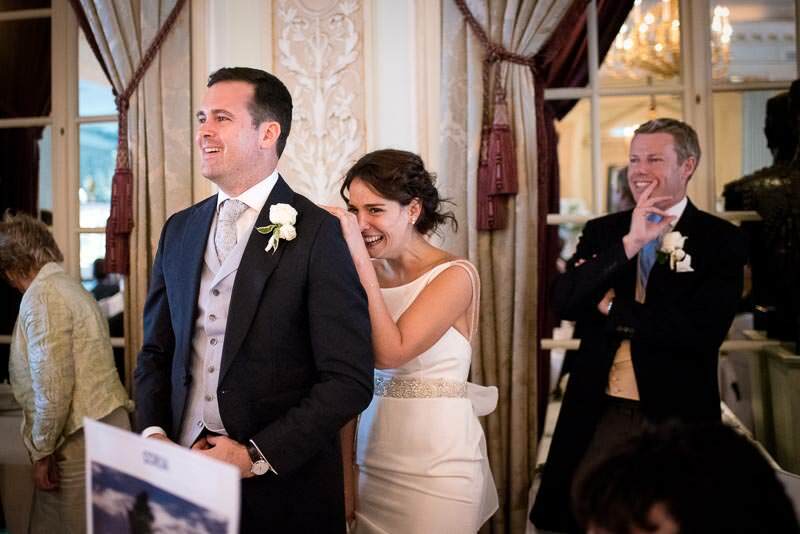 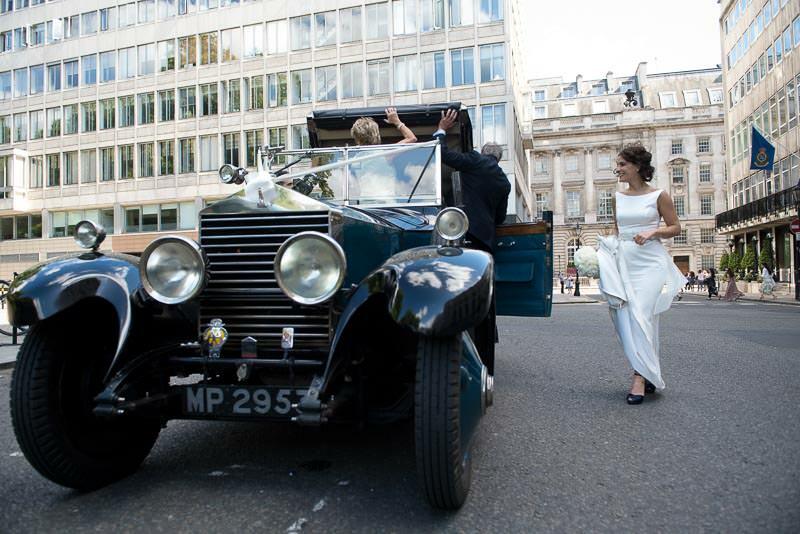 And to top it all of, Sam’s aunt arrived in an old Rolls Royce – a family heirloom – and gave the couple a spin around Pall Mall. 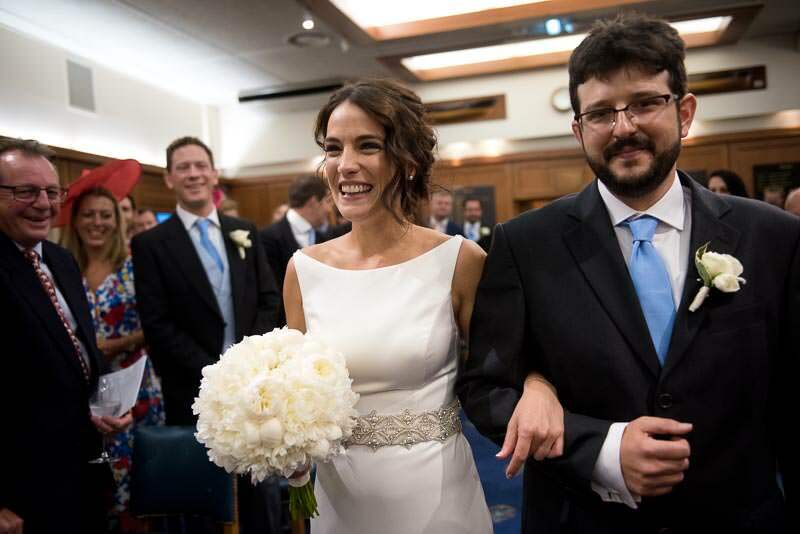 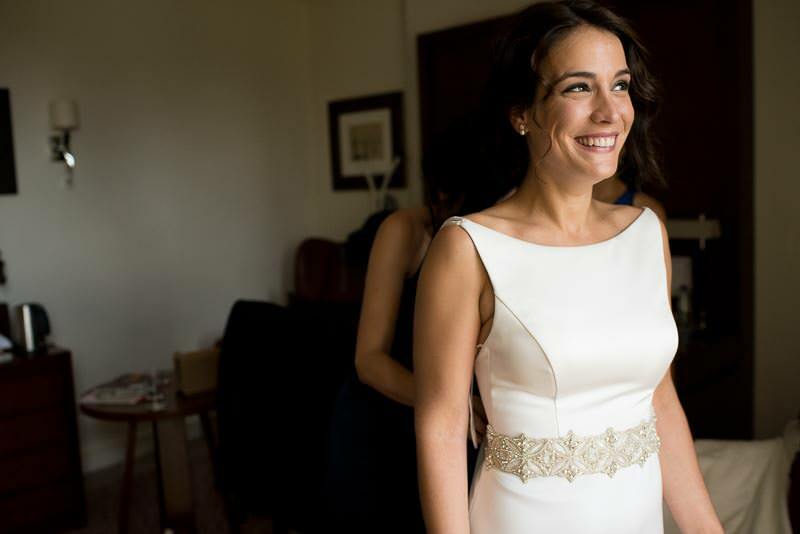 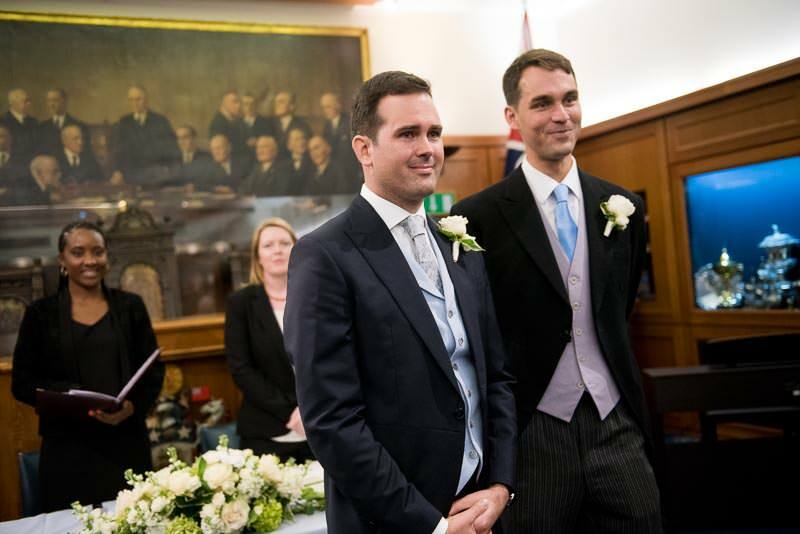 Raquel and Sam – congratulations you two! 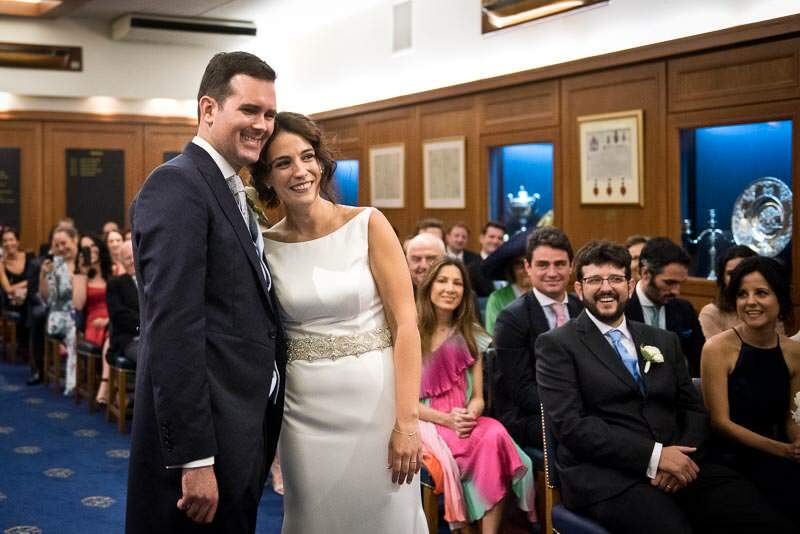 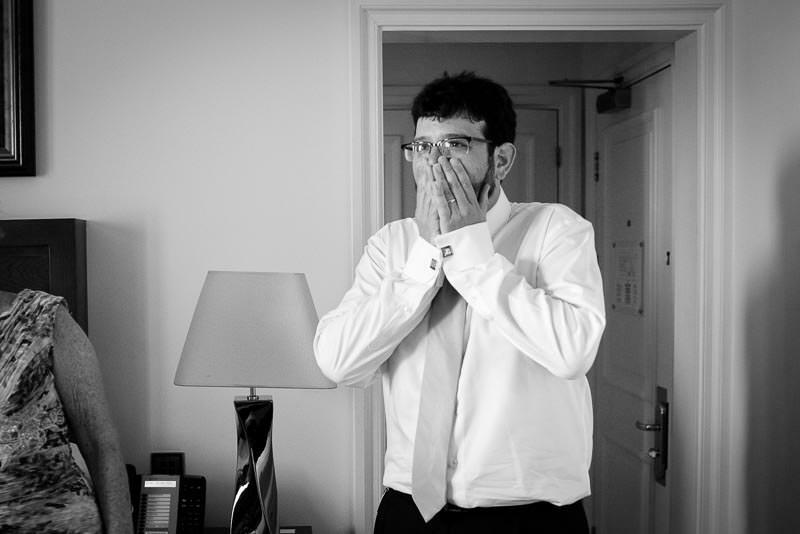 It was a real pleasure to be a part of your wedding day. 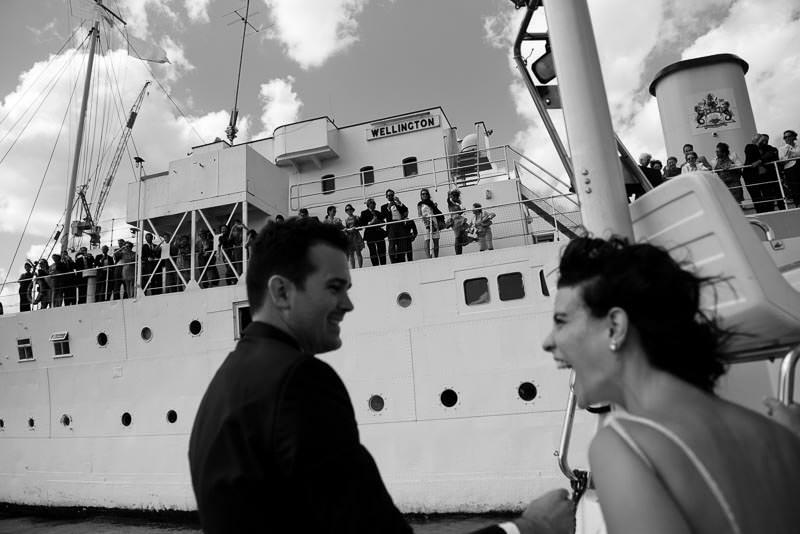 And it just goes to show that a glitch in the plan can lead to great adventures! 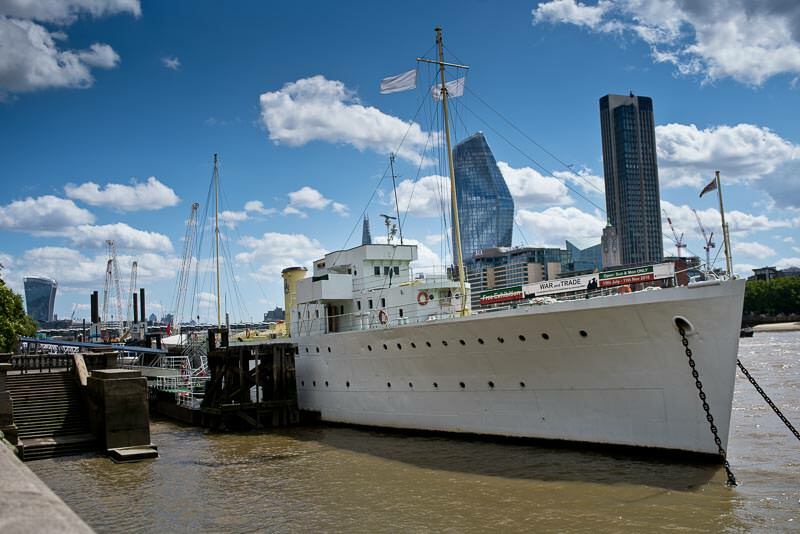 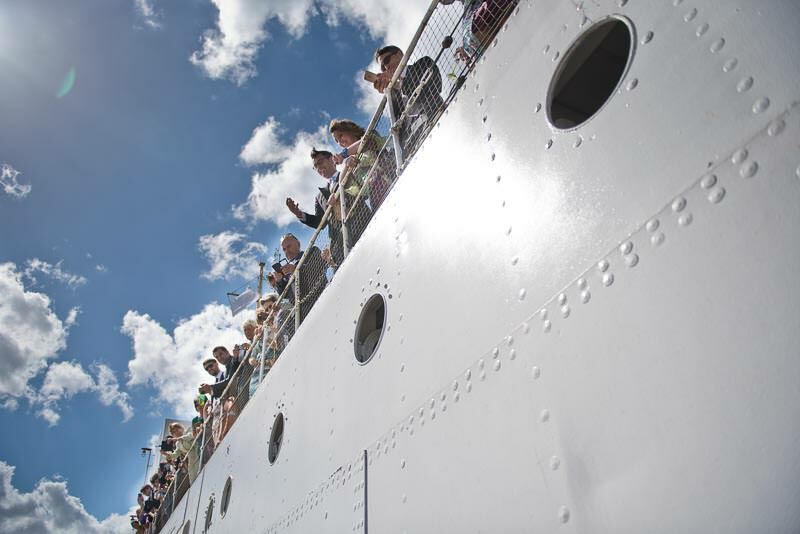 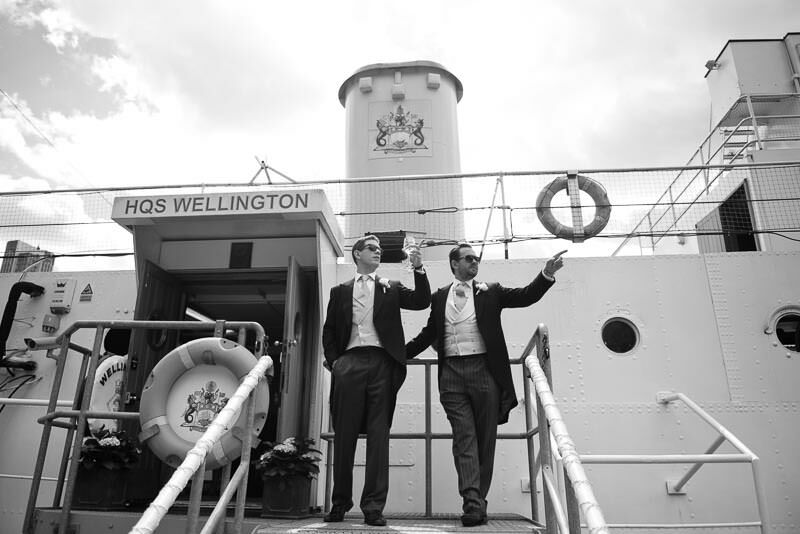 If you are planning a wedding on the HQS Wellington, why not get in touch to check my availability?